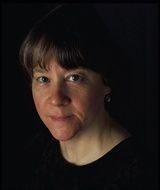 JANET McNAUGHTON is the multi-award-winning author of many books, including The Secret Under My Skin, An Earthly Knight and her most recent novel, Dragon Seer, which was shortlisted for the prestigious TD Canadian Children’s Literature Award, as well as both the CLA Young Adult Book Award and the Book of the Year for Children Award. McNaughton lives in St. John’s, Newfoundland, with her family. Visit her online at www.janetmcnaughton.ca.